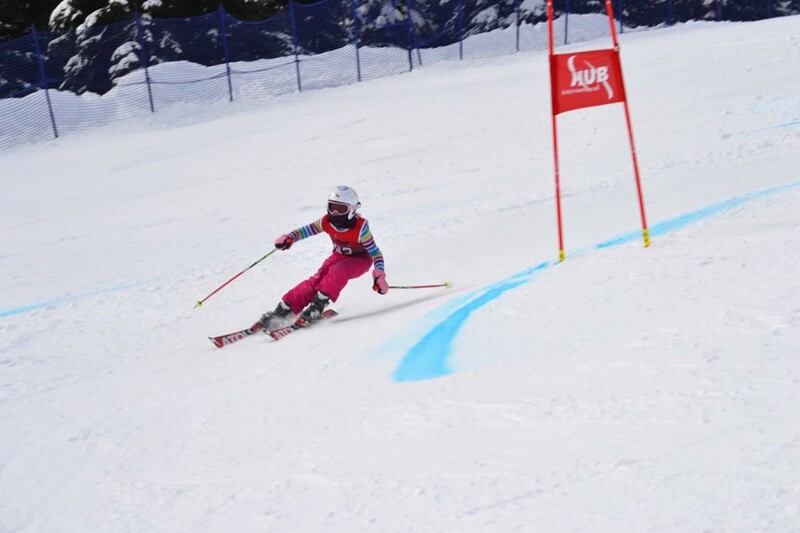 All our programs have been developed to follow Alpine Canada’s recommendations for Long Term Skier Development for Alpine Ski Racing, as detailed in their AIM-2-WIN model. This program goal is to develop speed control and skier confidence on a variety of terrain. Children entering this program need be able to ski on a green run and be able to load the chairlift themselves, or with minimal assistance.They are grouped according to skill level and age on the first day. Adjustments to the groups are done throughout the season to acknowledge skill improvements and ensure children are kept challenged and motivated. 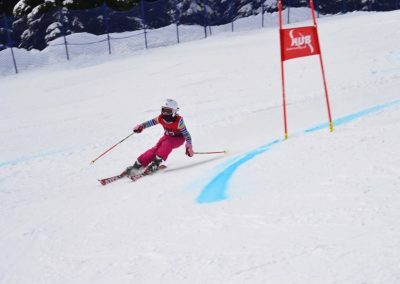 This age group participates in events that focus on skills rather than actual racing. The focus is learning how to move and developing overall movement skills used in all sports. Critical windows of trainability at this age group include general athletic formation, speed of movement, agility and coordination. Fun based skills events are scheduled during the season and participation is optional. 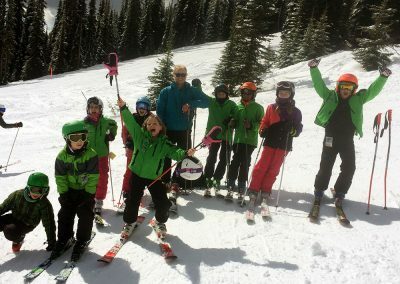 By the end of the season, children should have developed confidence on the hill, improving their ability to ski with speed and in a variety of terrain. A positive attitude and constructive feedback are fundamental tools to help children achieve success. This program is a fun and fast way for kids to progress into technically good skiers. Races are optional throughout the season; however races are a great way to develop friendships in a fun environment while demonstrating new skills. For more info about the nation wide program, please see www.nancygreeneskileague. 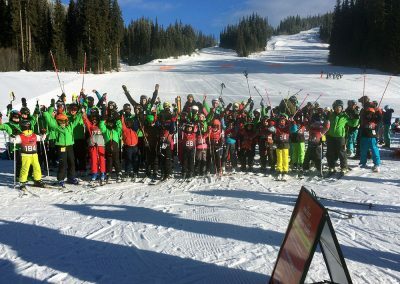 The U8/U10 Programs are a one or two days a week training program that includes all those who only want to ski on Saturdays or Sundays, and those who want to add another day during the week. Runs every Saturday and Sunday. You have to choose one of these days for the duration of the season. Thursday evening training is included in the price but is optional for training purposes. Training time is from 9AM to 3:00 PM during weekends, and 5:30 to 8 PM during weekdays. The U8/U10+ Program is a three days a week training program (two days minimum), aimed at those looking at improving their skills, by taking the three days option. Training is available Saturdays, Sundays, and Thursdays evenings. While the on-hill season begins when snow falls, the dryland training season begins in September! Our optional fall dryland sessions help prepare athletes for the season. Typically sessions are a weeknight and weekend. Fall sessions run from September through November. 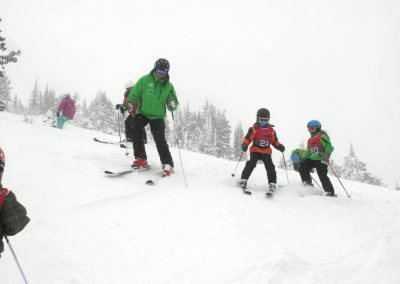 Races are optional (additional costs) and will be organized by the Program Director in coordination with BC Alpine Coast Zone and Nancy Greene Ski League. 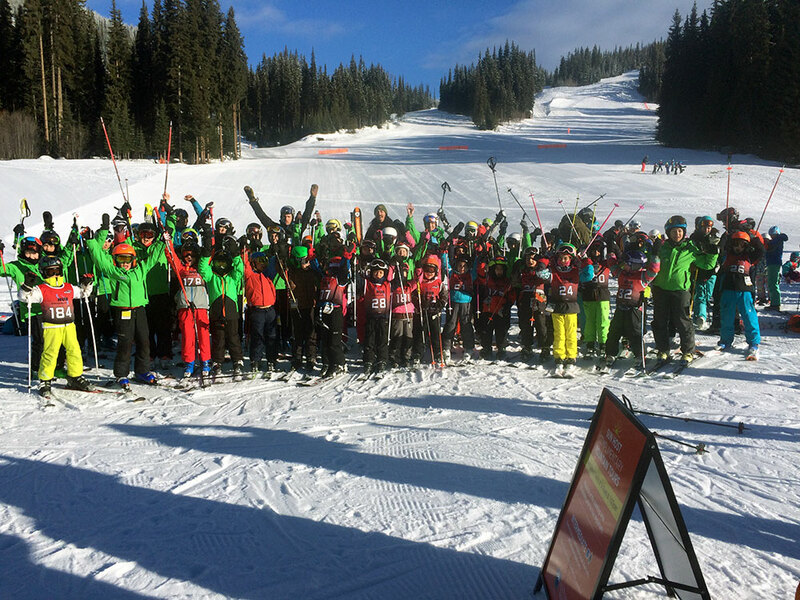 Optional camps (additional costs) for training on Cypress Mountain will also be offered during Spring Break and end of season if conditions permit. 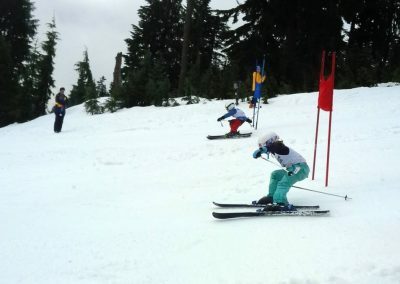 Spring skiing at Whistler will be offered at additional cost during May. Each athlete must pay BC Alpine insurance. The BC Alpine insurance is paid at the time of Family Membership registration and is added onto the amount. All families must also have a Family Membership. 718 – 333 Brooksbank Ave.